The 2014 holiday shopping season is now upon us. It may be too soon for “visions of sugar plums” to dance in children’s heads, but if you manage an e-commerce site, you presumably plotted out your holiday marketing campaign several months ago. After all, according to an Experian Marketing Services survey, nearly 70 percent of marketers began strategizing for the 2013 holidays by August; many started as early as June. There’s a good reason for that: The holiday season annually accounts for nearly 20 percent of all retailers’ sales (with some estimates citing as high as 40 percent). Some retailers benefit more than others do, though. It isn’t easy to stand out in a crowded marketplace, particularly when every e-tailer is offering exclusive savings of one sort or another. There are, however, a few tips that online retailers can use to attract and retain larger audiences — not just over the holidays but year-round. At this point in the e-commerce evolution, free shipping isn’t a special offer; it’s a customer expectation. Over 70 percent of online shoppers consider free shipping “critical” to their purchase decisions, and most shoppers cite shipping costs as the primary reason for cart abandonment (according to UPS). This comes as no surprise to knowledgeable e-tailers; free shipping has always been a proven sales-closer. No online business wants to absorb shipping fees, of course, but affordable policies can be designed; e.g., free shipping might apply only to purchases above a certain dollar figure. There are also loyalty programs, such as FreeShipping.com, that can be tailored so that e-commerce sites of any size can offer customers appealing, money-saving benefits throughout the year. Offering free shipping year-round can be a valuable step in building a core audience. Online shoppers are more likely to return to retail sites when they know they’ll save on shipping; if they can’t be certain about that, they may not even stop by when they’re in the mood to shop. Online shoppers are now more likely to visit retail websites via tablets and smartphones than through desktop and laptop computers, and mobile usage is only going to grow in coming years. E-commerce companies that don’t have a mobile commerce plan and don’t optimize their sites with responsive or adaptive Web design risk losing customers on virtually a daily basis. One of the upsides of m-commerce is that it helps online retailers reach customers more effectively and confidently. A recent report on consumer preferences found that 65 percent of marketing emails are now opened on mobile devices. Better yet, at least one-third of mobile users spend 15 seconds or more reading those emails. A well-designed mobile marketing campaign can therefore pay dividends across the holiday season — when shopping is on everyone’s mind almost constantly — and in the future, since consumers are more receptive to messages from retailers they already trust. Returns are a necessary evil every holiday season, and shoppers scrutinize retailers’ policies closely before making purchases. Returns policies have also become a point of contention: Shoppers don’t think they should have to pay for return shipping, since they don’t have to pay for in-store returns, while retailers worry that paying those costs will adversely affect their bottom lines. Research shows that e-commerce companies can benefit from customer-friendly returns policies, though. Fully 65 percent of respondents in a recent survey from UPS chose “free return shipping options” as the most preferred element of an ideal returns experience, and similar percentages said that if an online retailer offered a hassle-free returns policy, they’d both “shop more with that retailer” and “recommend the retailer to a friend.” Customer-friendly returns policies could therefore attract new and repeat shoppers alike. To help offset lost revenue, retailers could follow Amazon’s lead and charge restocking fees when customers return opened items. Alternatively, they could direct customers to programs such as Return Saver, which offers free shipping via FedEx Ground® when shoppers return online purchases. In any event, a customer-centric returns policy assures Internet shoppers that the retailer stands behind its purchase — and satisfies a customer demand that few retailers currently meet. 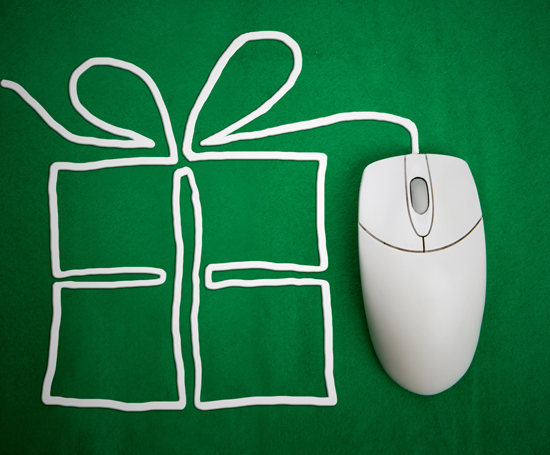 The 2014 holiday season offers an ideal testing ground for sales and marketing tactics and strategies, of course. Online retailers can take advantage of the annual opportunity by experimenting with email and text messages, free shipping offers, returns policies, and more. Comprehensive testing and analysis can reveal insights about specific audiences — and customers — that will yield profits in 2015 and beyond. Tom Caporaso is the CEO of Clarus Marketing Group. Tom has nearly two decades of direct marketing experience, specializing in continuity, subscription and custom loyalty programs. His background includes senior management roles in, e-commerce, subscription programs, site pptimization, SEM and SEO, product, marketing, sales and client services.